Wales & West Housing has been shortlisted for Platinum Employer of the Year in the Investors in People Awards 2018, which recognise leaders in people management practice globally. WWH is a finalist in the category for organisations with more than 250 employees that have been awarded the IIP Platinum Standard – the country’s highest mark of excellence for business and people management. In February WWH became the first in Wales to achieve the Platinum Standard, recognising the organisation not only as a great employer to its 450 staff, but also as “making a difference” to the 20,000 residents living in their homes and communities. The Investors in People Awards celebrate the best people management practices amongst Investors in People accredited businesses. The Finalists represent the best performers in people management worldwide. The winners will be celebrated at an awards ceremony in London on 28 November 2018. Chief Executive of Wales & West Housing, Anne Hinchey, said: “It is a privilege to be shortlisted in these awards; a clear indication of the dedication and hard work everyone at Wales & West Housing has invested in the business. 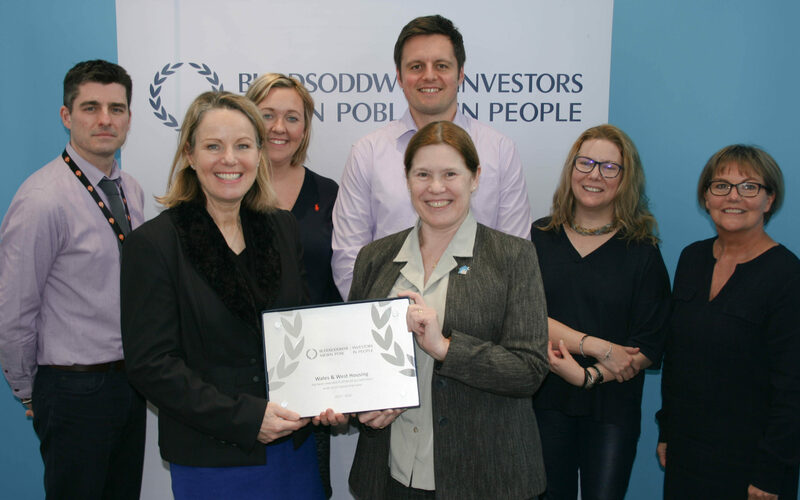 Prior to achieving the Platinum Standard, Wales & West Housing held the Investors in People Gold Award for 2012 and 2014. The Sunday Times Best Companies 2017 also ranked WWH as the top not-for-profit business in Wales for the sixth year running. The Investors in People Awards are sponsored by Activate Apprenticeships, Banbury Litho, CIPD, Employee Engagement Awards, Gaudio Awards, Reward Strategy and Troup Bywaters + Anders.